Due to the bad weather and spring’s refusal to show up I have lately been making lots of soups. Although soups are so versatile and give space to improvisation, in Greece we don’t particularly like them. This one is made of celeriac (my new love! Check out my roots orange bake with quinoa). 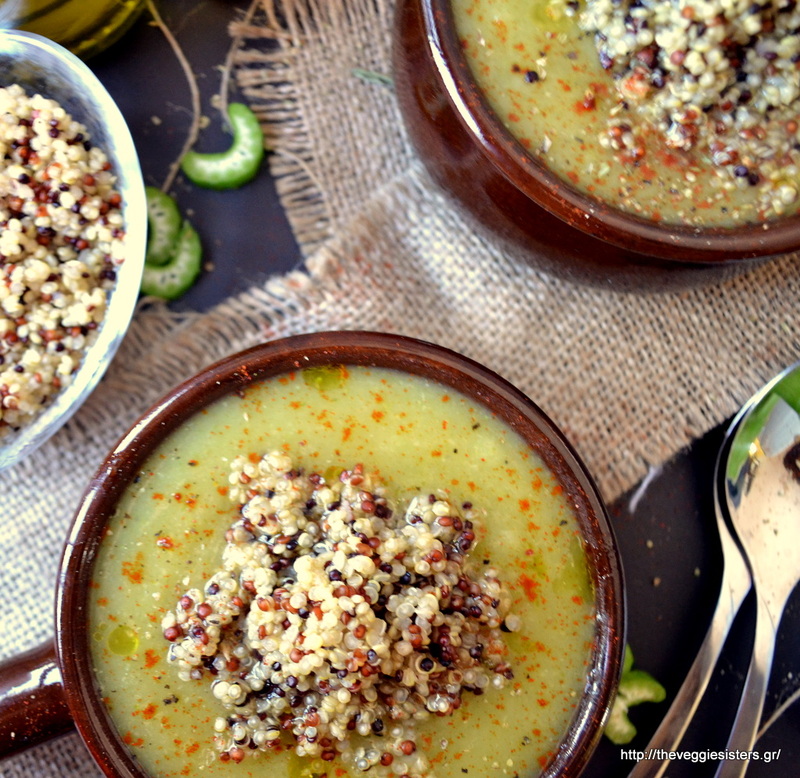 This the first time I used quinoa in a soup and I have to say it is a perfect pairing. 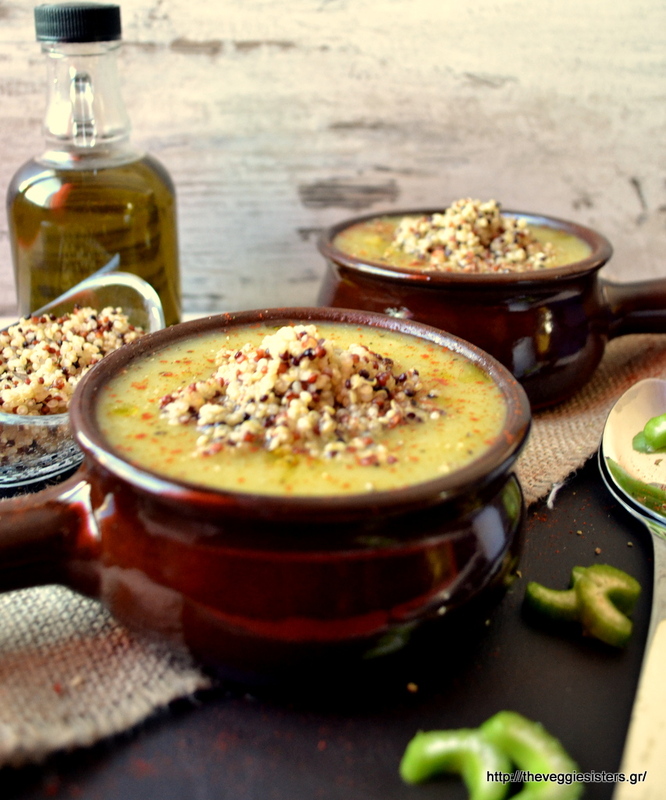 You have to try this healthy, delicious an filling soup! Have a lovely day, my dear friends! In a saucepan place all veggies chopped and cover with water. When tender, season with salt and pepper, paprika, ginger and pour oil. With an immersion blender puree the soup. Transfer it back to the saucepan and allow to come to a boil. Serve and top with quinoa. Enjoy! 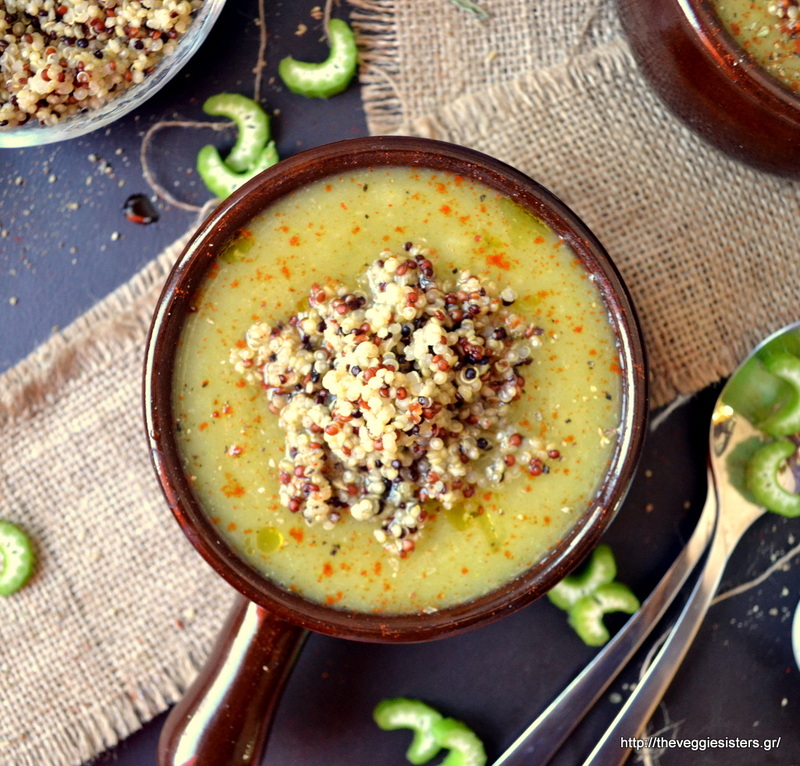 Share the post "Celeriac quinoa soup"